Late in the 1990 season, French people’s car manufacturer Peugeot had entered the world stage of endurance racing with the spectacular V10-engined 905. The company had joined the fray as one of the first major brands to conform to the new naturally aspirated 3.5L Group C rules, which were eventually delayed to 1991. The radical change in regulations caused a shockwave among established competitors, but Peugeot came in with a fresh face and bright ideas. The new, vastly more expensive engine formula relied exclusively on a specification virtually identical to the one in place in Formula One at the time, leading to smaller teams with lesser budgets throwing in the towel. As these teams left, the numbers on the World Sportscar Championship grids dwindled, which gave Peugeot a bit of a breather. Left only with Jaguar, Mercedes-Benz and Toyota as direct opposition, the 905 was able to take its first win at the first round of the 1991 season contested at Suzuka. The wild 905 Group C racer thrust Peugeot into the spotlight on the world stage. With the 905 making its mark on the top level of endurance racing, Peugeot was looking to capitalize on the lucrative PR-opportunity. In an attempt to mimic the success of Formula Renault, they established the Peugeot 905 Spider Cup, a one make series for single seater prototypes. Though also called 905, the smaller cars had little to do with their fire-breathing V10 namesake. The cars used modified 1.9L 16-valve XU9 J4 four cylinder engines, taken from the sporty 405 MI16. In race tune the engines produced some 220 horsepower at an ear-splitting 7500 rpm. The power was dealt with by a Formula Three-spec Hewland F3A five-speed manual transmission. Although it was essentially a spec series, the aluminium honeycomb monocoque Spiders were built by seven different chassis manufacturers. Race ready, the little machines weighed just 489 kg (1080 lbs), and were clothed in one single giant piece of carbon fiber bodywork. Introduced in both a National and European form, the series worked to promote the Peugeot brand through highly competitive races. For added publicity works 905 Group C driver Éric Hélary (FRA) headlined the European series as one of the star drivers. The 905 Spider chassis had more in common with an open wheel car than a sportscar. Meanwhile the WSC’s latest iteration was starting to collapse in on itself. The expensive engine rules and a totally illogical race schedule with events all across the globe had resulted in virtually all major manufacturers leaving the series. Only Peugeot and Toyota remained in full force, with just tiny underfunded teams from Mazda and Lola for competition. Fewer than 10 cars were entered for any given event, with usually less than three of them actually finishing. The situation was incredibly dire, and the end seemed near for the formerly Formula One-rivaling championship. As even the prestigious 24 Hours of Le Mans was coping with low entry numbers, the race’s governing body Automobile Club de l’Oest was faced with a difficult decision. The FIA had spent a lot of manpower and funds to turn the Group C category around, but the empty spaces on the grid caused by the new formula’s foibles were simply unacceptable. As GT-cars had gradually disappeared during the 1980’s, the ACO decided to fill up the grid with small open-top prototypes from national championships in the specially created Category 4. To this end three new machines were invited to compete in the 1992 edition of the grueling endurance event, two of which were 905 Spider chassis. The yellow machine had been prepared by the small Orion outfit, while the white and green example was built by an old friend of Peugeot: Gerard Welter (FRA). In a partnership with fellow Peugeot employee Michel Meunier (FRA), Welter had formed the WM racing organization. Joining forces with their employer as an engine supplier, WM broke new ground for the French brand with the P69 endurance prototype in 1969. Nineteen years later, the P88 would set the all-time speed record at Le Mans, achieving a top speed of 407 kph (252 mph). In 1990 Meunier left the company, prompting Welter to changed the name to Welter Racing. Under this new moniker he kept close to Peugeot, eventually entering the 905 Spider Cup. Because the two cars were built to the same specification, they differed only in slight detail. Both featured the same 220 horsepower Peugeot engine they as used in the Cup series, and both weighed around the same. The only differences visible to the naked eye were the mirrors, the rear wing, the fuel filler opening and the rear bodywork surrounding the gearbox. The pair would not only face off against each other, but also against an Alfa Romeo V6-powered Debora SP92. Orion LM, Le Mans 1992. Since Category 4 was meant as last minute filler, the cars were expected to fight for last place, if they even finished at all. The rest of the grid was occupied by a few much faster 650 horsepower 3.5L Category 1 machines, and an armada of even more powerful older Category 2 Group C beasts, kept in check with weight penalties. In comparison the two diminutive 905 Spiders looked like mere toys. WR’s fielded a seasoned driver team consisting of Le Mans veteran and team boss Patrick Gonin (FRA), former Toyota works driver Didier Artzet (FRA) and endurance specialist Pierre Petit (FRA). On the other Orion brought Marc Alexander (FRA), Franck de Vita (FRA), and Walter Breuer (FRA) to the table, all completely new to the event. 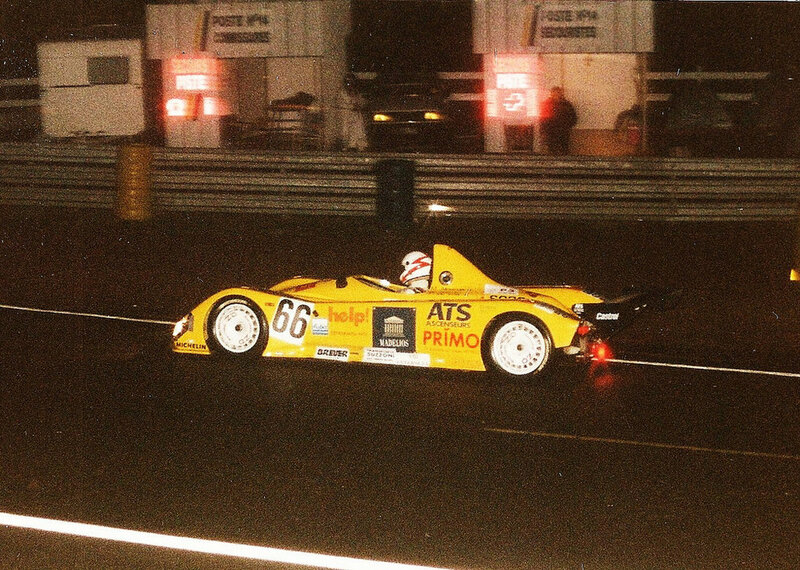 WR LM92, Le Mans 1992. Nevertheless both teams performed admirably, avoiding the dreaded last position on the starting grid. Surprising no one, the veteran WR squad got the best of Orion. In a crushing display of the importance of experience at Le Mans, WR shamed Orion with a lap time of 4:28.693. The time was a devastating eighteen seconds quicker than Orion’s 4:46.715. Even though the rookie team had lost out in a big way to their direct competitor, they still managed to beat the Debora by three seconds. Due to the Team MP Racing ALD C289 encountering problems, none of the Category 4 cars had to start from the last space on the grid. Ignoring the fact the cars were never built to last 24 hours of non-stop racing, the two 905 Spider teams set off on an impossible adventure. Once the lights went out all three Category 4 machines quickly became rolling chicanes to the rest of the field, which had a colossal speed advantage. Equally unprepared for the long straights of Circuit de La Sarthe, the Debora SP92 only lasted 25 laps. A broken clutch took the Peugeot’s main rival away, leaving only each other to fight. Sadly that fight didn’t last long, as the WR LM92’s suspension collapsed on lap 52. The Orion LM soon succumbed to the harsh nature of the race as well, and spent countless hours in the pits. Miraculously, the Orion team still managed to reach the finish line. However the car had completed so few laps it wasn’t officially classified. The small sprint racer was only able to complete 78 laps in 24 hours. 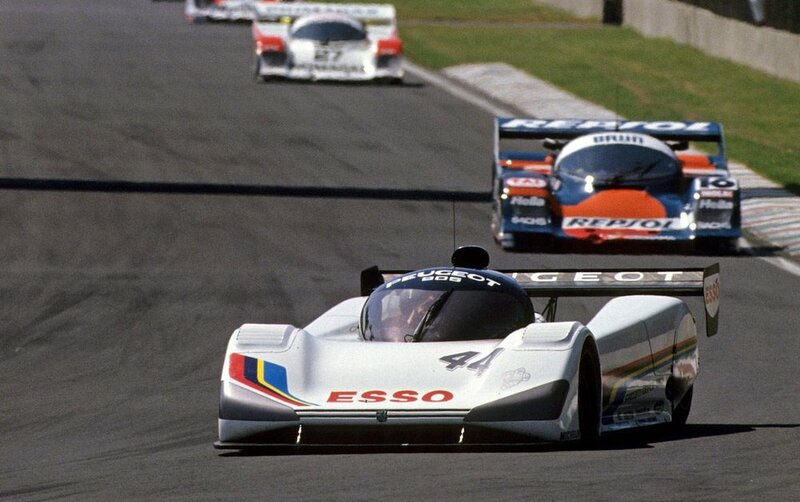 In contrast, its bigger Category 1 brother managed 352 on its way to Peugeot’s first Le Mans victory. Despite initially sharing the same name, the two prototypes couldn’t have been more different. The Orion LM even completed a few laps in the dark. Despite the apparent failure of Category 4, the ACO’s desperate experiment set a precedent for all top level sports prototypes to follow. As the tormented World Sportscar Championship finally keeled over and died after the 1992 season, the world was left without a premier prototype series until 1997. During that time the zombified leftovers of Group C slowly vanished, and a new open-top category emerged from the ashes: the Le Mans Prototype. The Peugeot 905 Spider was marketing exercise gone horribly right. As a promotional tool it did wonders for Peugeot’s domestic and European image, racing in its own Cup series from 1992 to 1994. Yet the biggest amount of publicity did not come from the French firm’s own efforts, but the dismal situation in the World Sportscar Championship. Dubious rules introduced by the FIA had the series in a death knell, and even the ACO was feeling the pinch with dwindling entries. Proving the worth of the saying “one man’s death is another man’s bread“, two privately entered 905 Spiders made it onto the grid for the world famous 24 Hours of Le Mans. Sadly the little prototypes were ill-suited to 24 hours of non-stop beating, and quickly fell apart in the opening stages. Despite their less than successful showing, the two tiny Spiders provided an insight into the future rise of the LMP. So in a way, the appearance of the two black cats spelled horribly bad luck for the reigning class of Group C.